GLOW KIT. I love a good highlight. 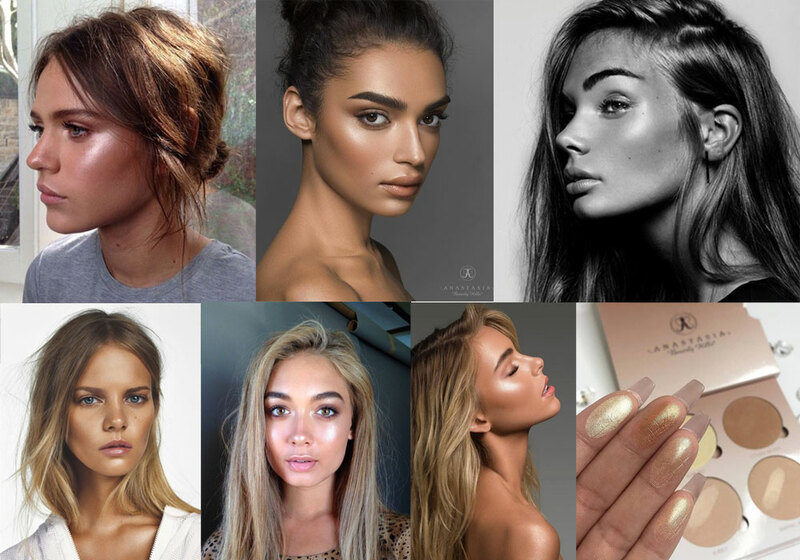 Strobing, as it has been referred to lately, or 'the healthy glow' (I mean, we all know it's from makeup, but you fake it till you make it, right?). 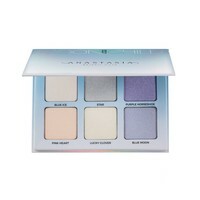 I've got my eyes set on the Anastasia Beverly Hills Glow Kit, which is the obvious Instagram favourite, but can't really make up my mind on which one I would like. As much as I love the ethereal glow of Moon Child (furthest right, below), I might feel like Sundipped (middle, below) is a bit more versatile. I believe the reason I'm so obsessed with the dewy look as it is very far from how my skin behaves naturally. Dry, flakey, eczema prone skin is often just that - dry and flakey - and not the least bit glowy. We always want the things in life we can't have, ey. Regardless of how much I try to prep my skin it will eventually dry out, so if I want to try to look 'glowy', I need a highlighter - and a good one. I normally prep with the Topshop Glow Pot before I put on my foundation, to create a nice, dewy base, and then top it off with plenty of powdered highlighter when I'm finished contouring/bronzing/blushing. A girl gotta do what a girl gotta do. Do you own any of the below? If so, which one, and are you happy with your choice? Help me narrow it down! Right now I'm leaning towards Sundipped but yesterday I was all Gleam. Advice please!